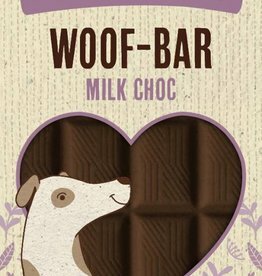 Dog friendly chocolate, non toxic. 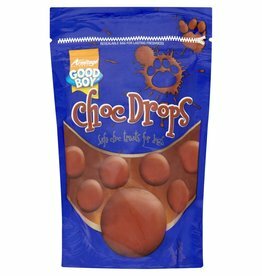 Good Boy 100g Choc Drops sachet. 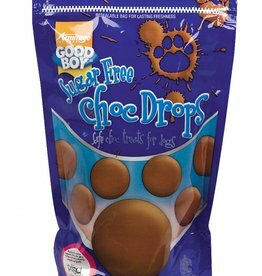 A safe and tasty alternative to chocolate for dogs. Looks just like a bar of real chocolate. Packed in foil with paper wrap just like a traditional chocolate bar. Easy to break up and serve. Vitamin enriched. 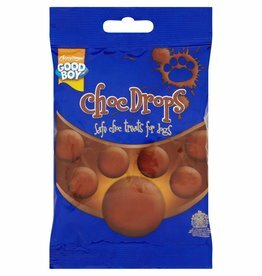 Sugar Free Dog Treats are deliciously, chocolaty treats, ideal for treating dogs which may be prone to weight gain, have dental problems or hyperactive dogs affected by sugar.